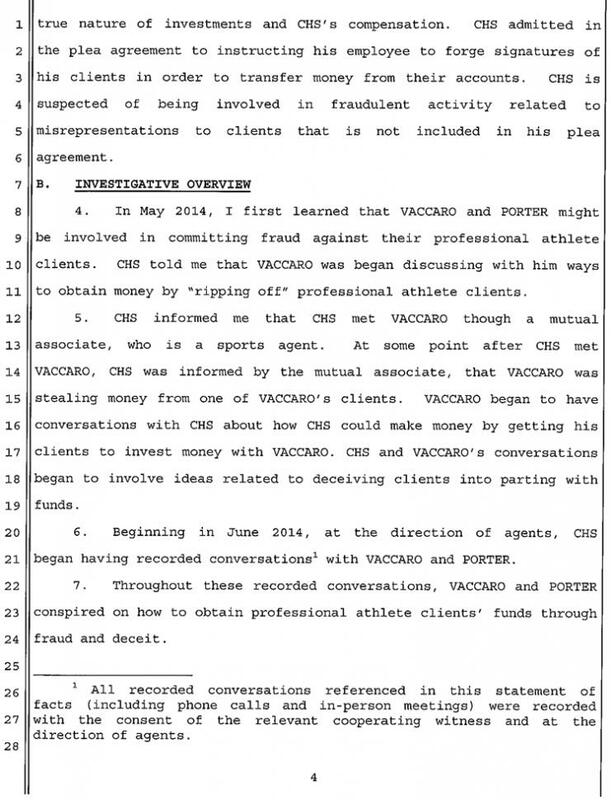 JANUARY 20--A Chicago sports agent and a New York financial adviser who represents athletes and entertainers have been charged with plotting to defraud investors in a multimillion dollar scheme that also involved a notorious swindler who was secretly working for the FBI, The Smoking Gun has learned. 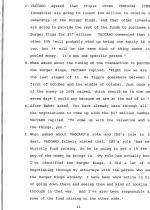 FBI agents late last year arrested Vincent Porter and Joseph Vaccaro for conspiracy to commit wire fraud. 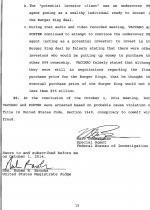 Both men have entered not guilty pleas to the felony charge and are scheduled to appear in U.S. District Court in San Diego, California on February 2. The evening before Porter’s next court hearing, one of his clients--New England Patriots tight end Brian Tyms--could be on the field for Super Bowl XLIX. Until about a week ago, the 35-year-old agent (seen at right) also represented Jonas Gray, the Patriots’s leading rusher. 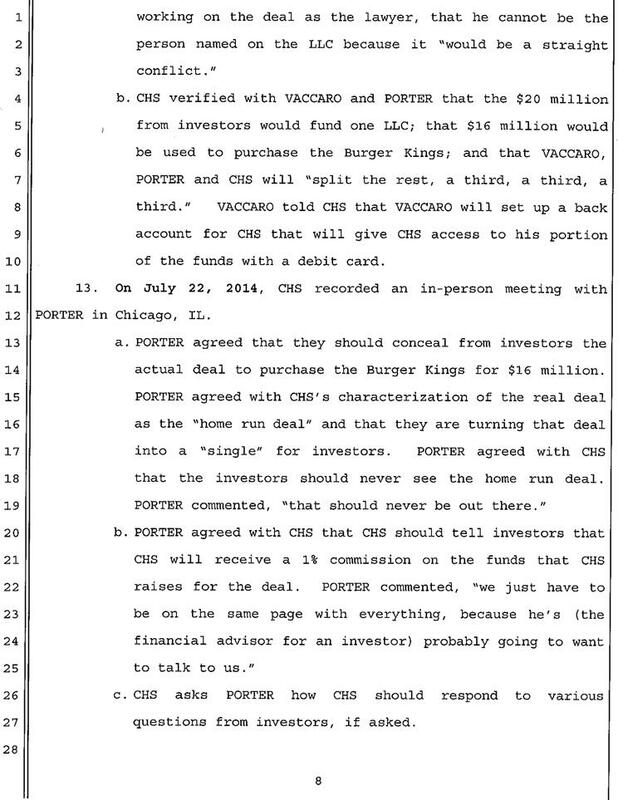 In a brief interview today, Porter said he was just fired by Gray, who informed the agent it was “time to move on.” When asked if he told clients of his arrest, Porter declined to comment. Porter, who is certified by the National Football League Players Association, also represents New York Giants linebacker Devon Kennard--one of six Porter clients to be drafted in 2014--and various NFL prospects and practice squad members. Porter told TSG he has also “done some work” for Seattle Seahawks running back Christine Michael, who is represented by another agent. A licensed attorney, Porter is a partner in Elevate Sports Management, which also represents Major League Baseball players. 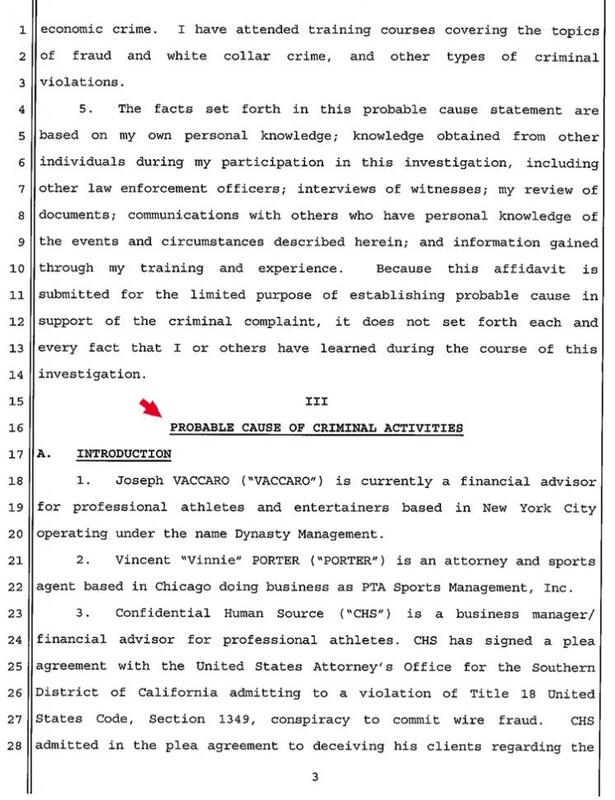 “Vinnie’s goal is to provide representation to prospective athletes that will help build the character and integrity of the Elevate Sports Family,” according to a bio on the firm’s web site. 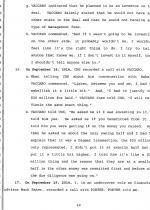 According to the FBI, Porter showed little character or integrity during the course of a criminal probe that began in mid-2014. 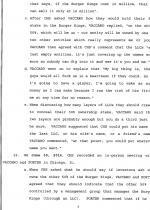 Porter was targeted along with Vaccaro, the 36-year-old founder of Dynasty Management. 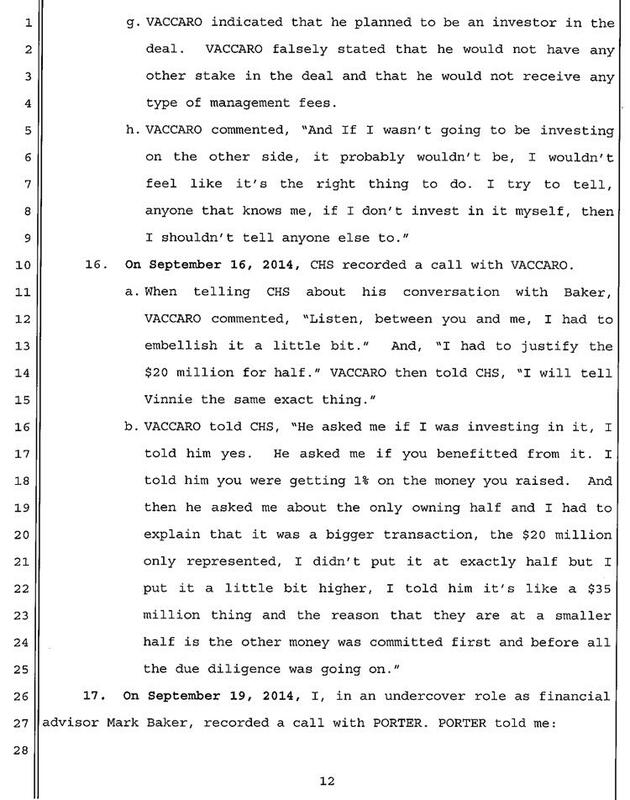 According to his web site, Vaccaro has been providing financial advice to athletes for more than a decade. 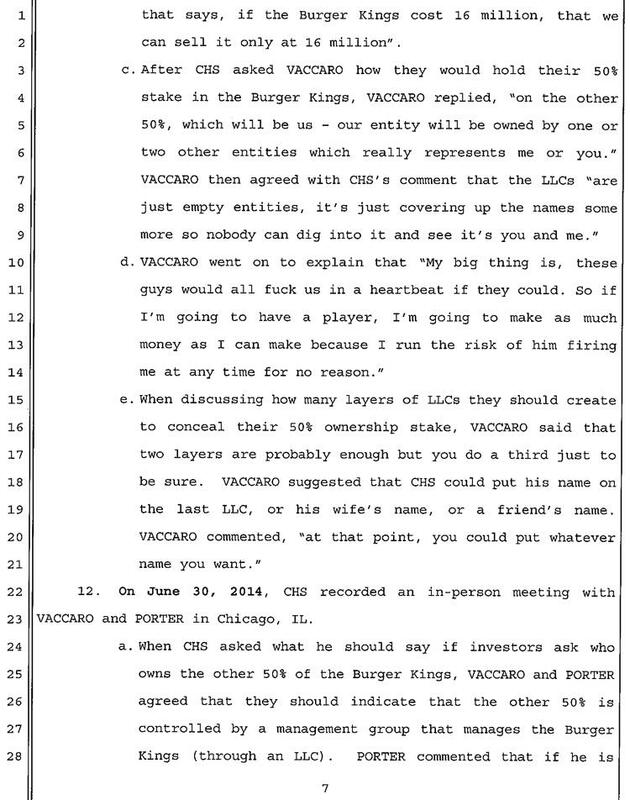 His firm’s “client relationship director” is former New York Giant Leonard Marshall, a two-time Super Bowl champion and three-time All-Pro defensive lineman. 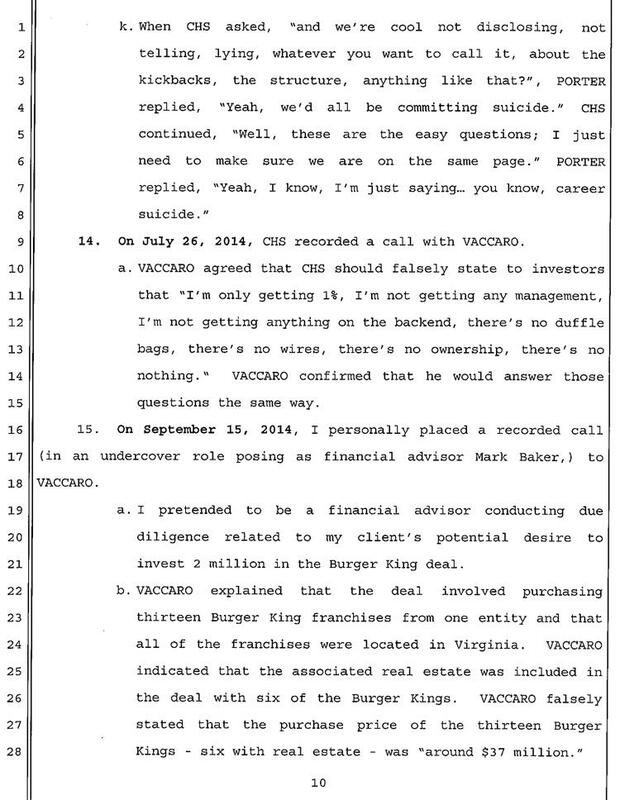 Vaccaro did not return voicemail messages seeking comment about his case. 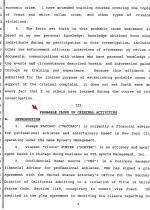 Though the FBI source is not identified in court filings, TSG has learned that the informant is Bill Crafton, a former investment adviser who pleaded guilty last year to conspiring to defraud clients, many of whom were professional athletes. 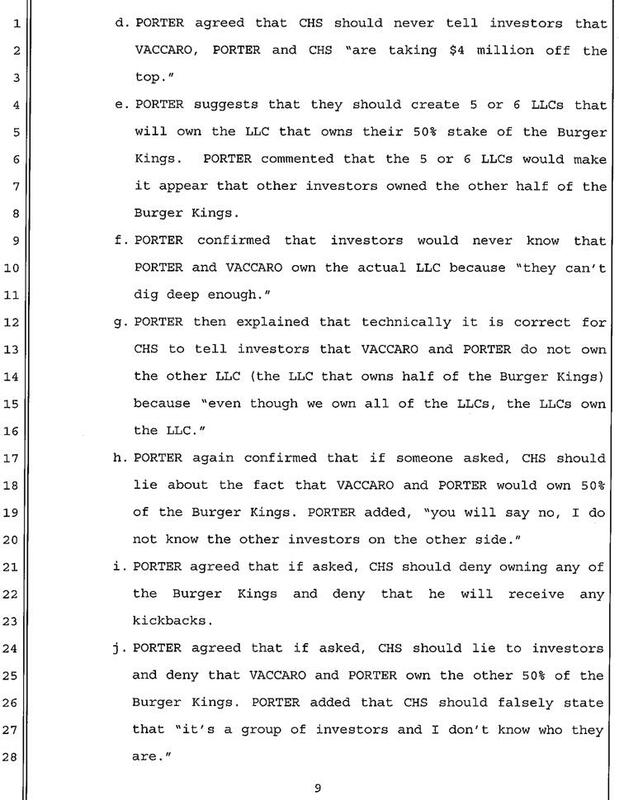 Crafton regularly steered client funds into high-risk, illiquid investments in return for commissions, kickbacks, and other financial compensation (none of which he disclosed to clients). Athletes ripped off by Crafton include Philadelphia Phillies pitcher Cole Hamels, Philadelphia Eagles tight end Brent Celek, and veteran NBA guard Jason Terry. 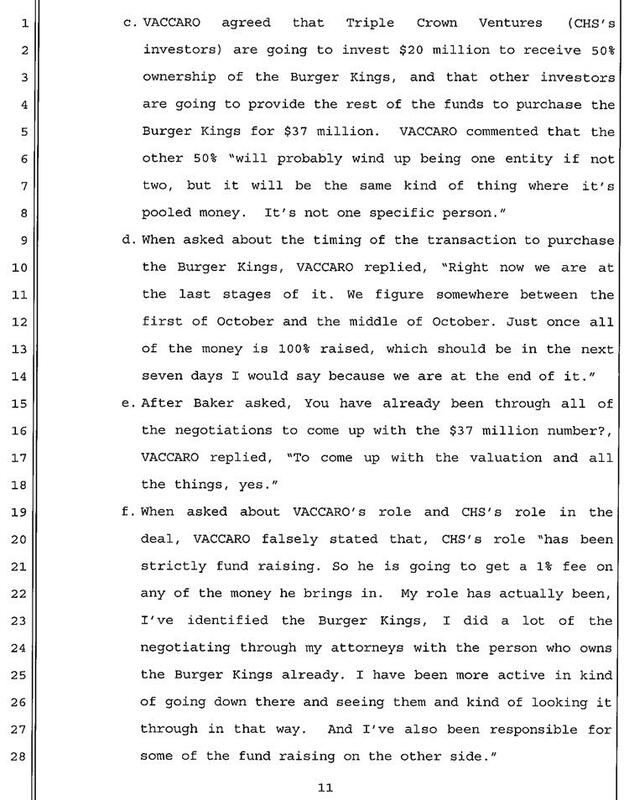 Last month, the Securities and Exchange Commission filed civil fraud charges against Crafton, accusing the 38-year-old San Diego resident of failing to “disclose compensation and kickbacks he received for steering clients to certain investments and financial products.” Crafton has consented to a final judgment barring him from the securities industry, and has agreed to repay nearly $1.7 million as part of his plea agreement to the felony conspiracy count. 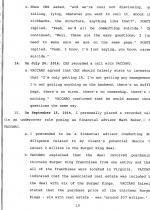 In an apparent bid for leniency at his future sentencing, Crafton--at the FBI's direction--recorded meetings and phone calls with Porter and Vaccaro over a three-month period beginning last June. 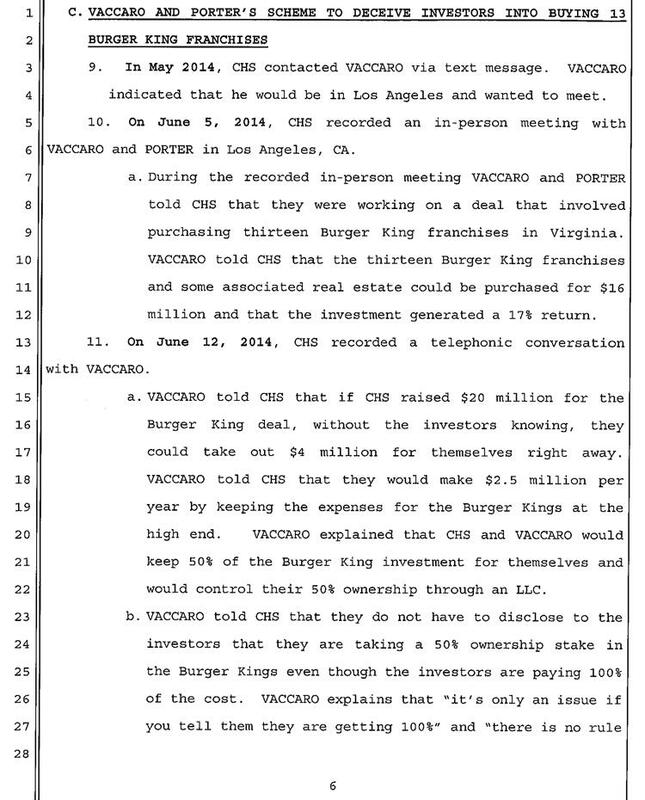 During those conversations, Agent Pennebaker reported, the men discussed a plot to hoodwink investors in the proposed $37 million purchase of 13 Burger King franchises and related real estate. 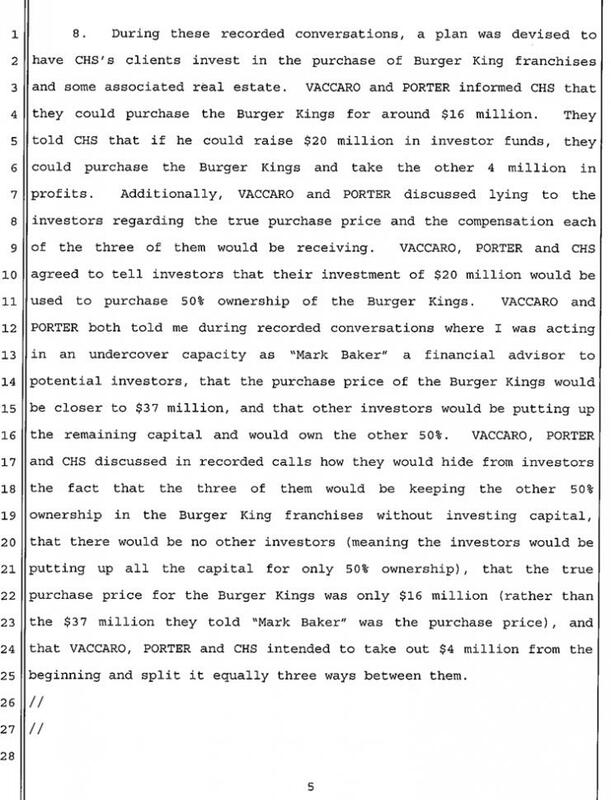 Porter and Vaccaro “discussed lying to the investors regarding the purchase price and the compensation each of the three of them would be receiving,” Pennebaker stated. 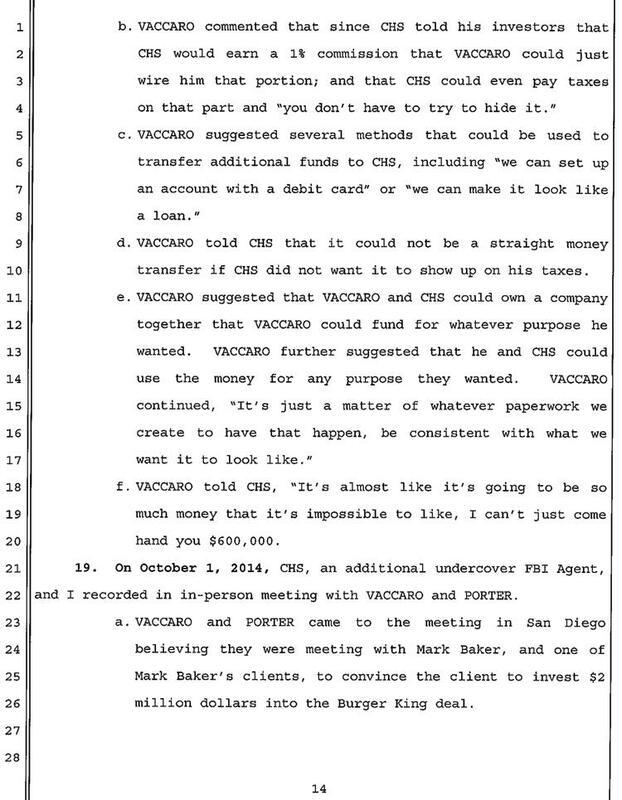 On October 1, Porter and Vaccaro met in San Diego with “Baker” and one of his clients, a purportedly wealthy individual who was mulling a $2 million investment in the Burger King deal (the client was another undercover FBI agent). 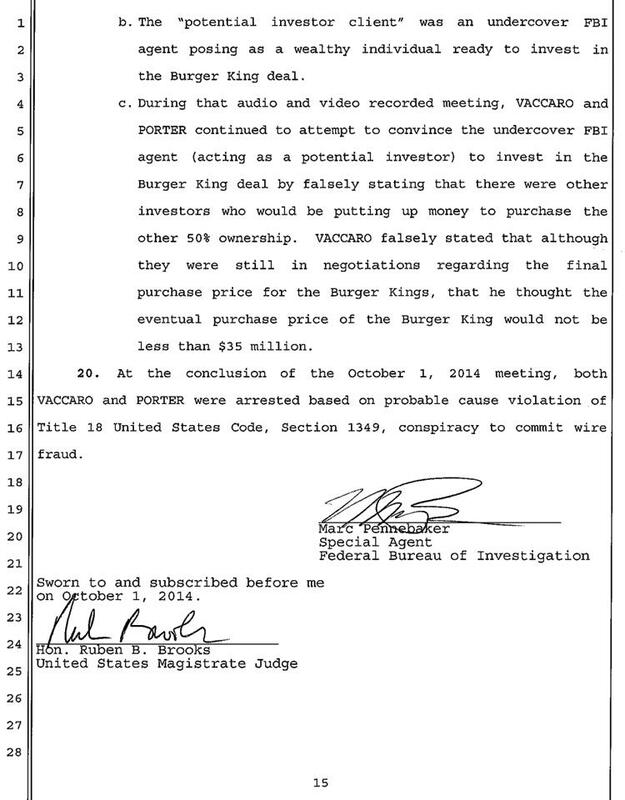 The meeting ended with Porter and Vaccaro in handcuffs, under arrest for conspiracy to commit wire fraud. 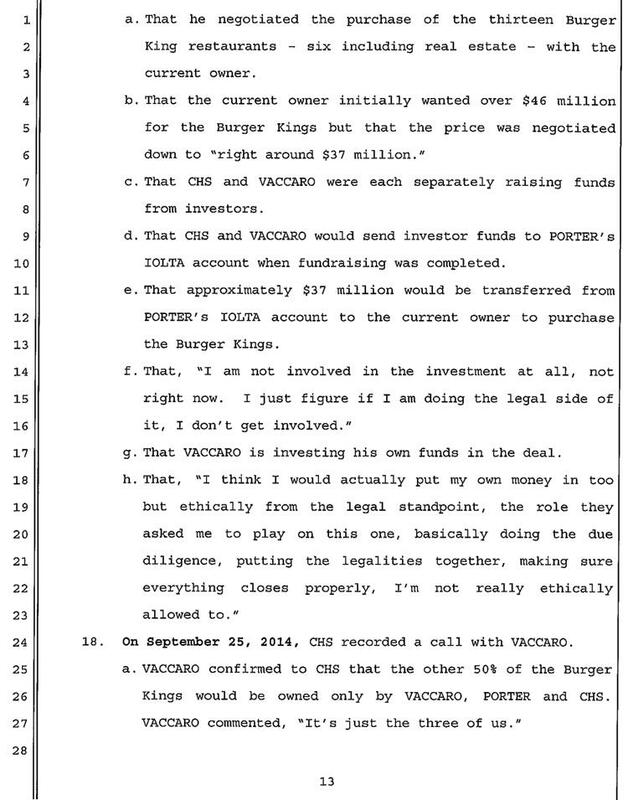 After waiving indictment, Porter and Vaccaro were each named in one-count felony informations, often an indication that a defendant anticipates pleading guilty. 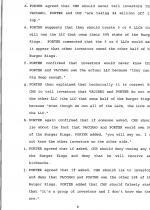 Porter, however, said that he plans to fight the federal case. Since his arrest with Vaccaro has not previously been reported, Porter has not fled Twitter, where he uses the handle “vinievidivici.” Along with retweeting his football clients, Porter has saluted Gray for his 201-yard, four-touchdown game against the Indianapolis Colts in November (as well as his subsequent Sports Illustrated cover), and publicized Kennard receiving NFC defensive player of the week honors in mid-December. 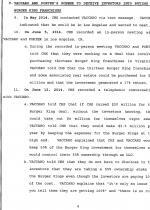 It is unclear whether the clients of Porter and Vaccaro are aware of the duo’s criminal troubles.